Our in-house expertise for engineering and manufacturing innovative turn key vessels and equipment enables us to make products tailored to the client’s requirements. With over 40 years’ of experience in shipbuilding we guarantee you an efficient process and products of the highest quality. Whether you require a heavy lift carrier, offshore support vessel or general cargo vessel, every ship built by CIG meets an uncompromising standard regarding comfort, technology, safety and quality against the lowest possible cost of ownership. For a complete overview of our customised offshore vessels download our offshore brochure. Whatever your questions about shipbuilding are, we will provide the best answers. Our design & engineering specialists work with the most advanced design tools. Experienced professionals put these designs into practice in complete turn key vessels (shipbuilding), building kits and (block) sections (prefabrication). CIG is also able to provide you with equipment and parts, such as piping, winches and anchors. We offer you ultimate efficiency. This is not only reflected in the construction of your vessel, but throughout the entire process. With 4 decades of experience in shipbuilding we know how to maximize shipbuilding efficiency with the aid of logistics principles such as 'just in time'. This, combined with our lean & mean organization, our experience in project management and our large-scale capacity, results in short lead times for maritime projects. Our combined knowledge and skills, together with a passion for shipbuilding, give our customers the competitive edge they are looking for. 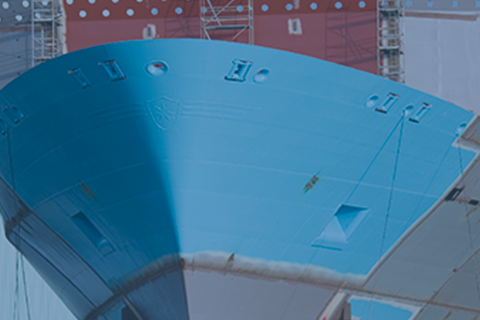 More information about our shipbuilding solutions? CIG will be pleased to tell you about the options for your maritime project. Be inspired by our projects and contact us at or +31 (0)50 575 39 95.